In December of 2017, the U.S. Congress established the Qualified Opportunity Zone (“QOZ”) program, designed to help economically-distressed communities where new investments, under certain conditions, may be eligible to generate preferential tax treatment for investors. Investments made in these designated QOZs through a qualified legal entity referred to as Qualified Opportunity Fund (“QOF”) are intended to provide much-needed new investment and capital into economically depressed communities throughout the United States and Puerto Rico. In short, the QOZ program is an economic development tool designed to spur economic development, revitalize communities in need, and create jobs in distressed communities by attracting new investments in exchange for select income tax benefits. In general, here is how the QOZ program operates. If an investor disposes of assets (e.g., stocks, real estate, an operating business), on or after Dec. 22, 2017, which triggers taxation of capital gains to the investor, then such investor may seek to utilize the QOZ program. The investor can either create or locate a QOF to invest a portion of its transaction proceeds (e.g., cash) within 180 days of the divestment (sale) transaction date. Once capitalized, the QOF must, in turn, invest a certain minimum amount of its assets (directly or indirectly) into an operational business or real property located in a QOZ. The QOF oversees and manages the investment in the QOZ until the QOF decides to divest from the QOZ investment at a future date. In exchange for this QOZ investment, the QOF receives certain income tax benefits that it passes along and up-the-chain to its owners and investors. As you can imagine, the rules and regulations governing QOZs and QOFs are complicated and require detailed analysis; the previous paragraph is a rather simple summary of a QOZ transaction. Below is a list of some very important highlights to keep in mind when considering an investment using the QOZ program. The investors can defer income taxation on prior capital gains that are invested in a QOF until the earlier of December 31, 2026 and the date on which the investment in a QOF is relinquished (known as the capital gain deferral piece). If the investor holds the investment in the QOF for longer than 5 years then there is a 10% bonus exclusion of the deferred income taxation on the prior capital gains. If the investor holds the investment in the QOF for longer than 7 years then the bonus exclusion bumps up to 15% (known as the tax basis step-up piece). If the investor holds the investment in the QOF for no less than 10 years, then the investor is eligible to liquidate or cash-out from the QOF free of income taxation on any new tax gains generated from appreciation of this QOF investment (known as the non-recognition of new taxation piece). Only capital gains (although both long-term and short-term) are eligible for deferral under the QOZ program. Ordinary income (non-capital gains) is not eligible for deferral under the QOZ program. However, all capital gains are eligible for roll-over into a QOF. The QOZ program is not limited to gains from real estate, stocks or any specific asset or transaction, and a pot of various sources of capital gains can be used to invest in a QOF. In other words, an investor can dispose of many different assets in various transactions and trigger capital gains from these items, and then invest all (or a portion of) these capital gains into a QOF to receive the income tax benefits. An investor can defer payment of capital gain taxation to the latest date of Dec. 31, 2026, so long as such prior capital gains are invested into a QOF within 180 days of the divestment (sale) transaction that triggered the tax gain. The S. Internal Revenue Service (“IRS”) clarified that the clock for the 180-day period for investing the capital gains in the QOF begins for most taxpayers on the date the capital gains would be recognized for U.S. federal income tax purposes. 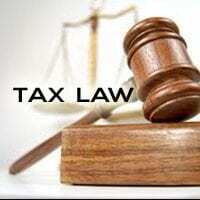 For individuals, this rule means the date on which the dispositions of assets trigger capital gains taxation. For partnerships, the 180-day period begins to run on the date the partnership disposes of assets triggering capital gains taxation. But, if the partnership does not reinvest its capital gains in a QOF, then the partners may reinvest their allocable share capital gains, and the 180-day period for each partner begins on the last day of the partnership’s tax year in which such disposition of assets occurred. This partnership rule also applies to S corporations (but not C corporations). Only the amount of the capital gains must be invested into a QOF to defer all the income taxation related to them. There is no requirement that all cash received by an investor from the disposition of assets must be reinvested in a QOF to receive the income tax benefits; just an amount of assets (e.g., cash) equal to the amount of the prior capital gains. Think of a QOF as an investment vehicle, whether a partnership or a corporation, that acts as the funnel for the various investors to collect money and other assets to invest it into the QOZs. The QOF can be a new or existing entity, and could be an entity created by the investor solely to invest its money and assets. A QOF becomes qualified with the IRS by self-certifying that it is a QOF and filing IRS Form 8996 (Qualified Opportunity Fund) with its federal income tax return. For example, a QOF could be a newly-formed Florida limited liability company that is organized by the investor, capitalized by the investor and at least one other person, taxed as a “partnership” for U.S. federal income tax purposes, and invests its money by acquiring QOZ property. The QOF must acquire, own and hold QOZ property to generate the income tax benefits. However, the QOF is not required to utilize all its cash and assets to acquire, own and hold QOZ property, but there is a minimum threshold that must be satisfied by the QOF. Also, there are strict limitations and rigorous requirements surrounding the QOZ property acquired, owned and held by the QOF. Current operating income generated from an investment in a QOF is subject to income taxation, and does not receive any special tax exceptions or tax exclusions. An investor does not need to live, work or have a business in a QOZ to receive the income tax benefits. All the investor must do is invest prior capital gains into a QOF and elect to defer the taxation on such capital gains pursuant to the U.S. federal tax code. For an investor to receive the full array of QOF taxation benefits, the latest date (according to the current S. federal tax code requirements) by which capital gains must be invested into a QOF is Dec. 31, 2019. For an investment to comply with and satisfy the requirements of the QOZ program, the investment must be an equity ownership interest in the QOF. Loaning money to a QOF (i.e., debt instruments) is not an eligible investment for purposes of the QOZ program. The income tax benefits generated by the QOZ program are not mutually exclusive of other tax benefits under the S. federal tax code, such as New Markets Tax Credits (NMTCs), Low-Income Housing Tax Credits (LIHTCs), and section 1031 like-kind exchanges (assuming some capital gains are triggered by the transaction). The QOZ program could be combined with other programs. As you can see, the rules and regulations governing QOZs and QOFs are complicated and require very detailed analysis. 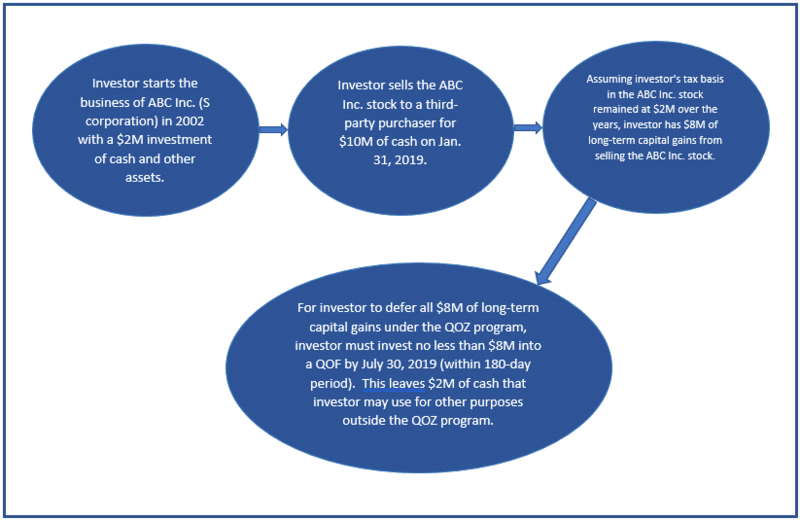 All facts and circumstances should be taken into consideration when considering, and prior to making, an investment into a QOF using the QOZ program. Should you have any questions regarding the QOZ program, please feel free to contact Nathaniel Dutt, Esq. at ndutt@SLLaw.com or Jordan Horowitz, Esq. at jhorowitz@SLLaw.com, or either at 407-581-9800. If you are unable to qualify for a loan backed by traditional collateral, you can still secure the loan using assets such as art, yachts, accounts receivables or service contracts. At ShuffieldLowman, we can assist borrowers and lenders alike in performing the due diligence necessary to confirm whether traditional collateral will be sufficient or whether non-traditional assets can be used to secure the transaction. Watch as ShuffieldLowman attorney, Jordan Horowitz, explains more about non-traditional asset-based financing. A very important component to any real estate transaction is the review of a current survey, no more than 90 days old, of the subject property. ShuffieldLowman can assist in reviewing your commercial or residential survey to confirm that aspects such as the legal description, title commitment, and encroachments and access have been examined. Reviewing the survey prior to closing will help avoid any problematic issues down the road. Watch as ShuffieldLowman real estate attorney, John Junod, explains the importance of a survey review in real estate transactions. U.S. Tax and Transactional Issues Relevant to Foreign Owners of U.S. Real Estate and Parties to the Sale Thereof; PART II – What are the U.S. Tax Implications? PART II — What are the U.S. Tax Implications? Prospective foreign purchasers of real estate situated in the U.S. should pay careful attention to the U.S. tax ramifications of their acquisition. In particular, the manner in which rental income or sale proceeds are taxed, the impact of repatriation of those profits, and transfer tax consequences, e.g., taxes on the transfer of property to heirs, warrant special consideration. In addition, there is a somewhat onerous tax withholding requirement imposed on buyers when U.S. real estate is acquired from sellers who are foreign persons, which withholding requirement is elaborated on in Part I of this article. In many ways the tax consequences of the ownership of U.S. real estate hinge upon the manner in which the real estate is held, i.e., titled in the individual name of the foreign person or owned indirectly by the foreign person through some form of business entity or trust. In addition, the U.S. taxation of foreign persons may be modified by an applicable bi-lateral treaty between the applicable foreign jurisdiction and the U.S.
An attempt to minimize tax reporting in the U.S. In most cases it is impossible to achieve all of these objectives, so the planning needs to be specifically tailored to the particular facts and circumstances of each case. For example, if a foreign person owns U.S. real estate directly in his or her individual capacity, then the gross rental income attributable to such real estate is subject to a flat 30% tax via withholding unless the foreign person elects “net basis” taxation, in which latter case the graduated income tax rate brackets for individuals apply (up to 39.6%) to net rental income taking account of certain expense deductions allowable depending on the use of the property (personal or business). If the U.S. real estate is held by the foreign person for more than one year, then the long-term capital gains tax rate (20%) is applicable to the gain on sale. In the case of personal use property, the foreign person and family members can enjoy the use of the property without imputation of rental income but if the “net basis” election is made then deductions are limited to real property taxes and qualified mortgage interest. The big disadvantages of direct ownership by a foreign person are (i) exposure to U.S. estate tax (applies at 40%) in the event of the death of the foreign owner; (ii) that a gift of U.S. real estate by a foreign person is subject to U.S. gift tax without the benefit of the lifetime gift tax exemption available to U.S. persons; and (iii) to ensure the collection of U.S. tax upon the sale of the U.S. real estate, the foreign owner will be exposed to the Foreign Investment in Real Property Tax Act (“FIRPTA”), which, subject to certain exceptions discussed in Part I of this article, requires the buyer to withhold an amount generally equal to 10% of the gross sale price at closing (“FIRPTA Withholding”). By way of comparison, if a foreign person owns U.S. real property through a foreign corporation, then both U.S. estate tax and U.S. gift tax can be avoided. This structure also provides the advantages of limited liability and anonymity for the foreign shareholder(s). If shareholders or officers of the corporation will enjoy ‘personal use’ of the U.S. real estate, then a major disadvantage of this structure is the imputation of rental income to such persons; that is, unless the foreign corporation charges fair market value rent to such persons, such rent is imputed to the corporation and will trigger income tax. Another major disadvantage is exposure to the “branch profits tax”, subject to potential reduction via bi-lateral treaty. In lieu of withholding on dividends paid by the foreign corporation that owns the U.S. real estate to its beneficial owners that are foreign persons, the “branch profits tax” imposes a 30% tax on the operating profits of the foreign corporation attributable to the operations of its U.S. real estate that are “deemed” for this purpose to be repatriated to the applicable foreign country. It is important to note that this 30% “branch profit tax” is in addition to the corporate tax on the foreign corporation’s earnings in the U.S. (15% to 35% on net rental income or 30% on gross rental income via withholding by lessee), potentially resulting in an effective tax rate up to 54.5%. Gain on the sale of U.S. real estate by a foreign corporation is taxable at a 35% rate, and FIRPTA Withholding is required. Thus, if income from the U.S. real estate is expected to be significant and there is no relief available from a bi-lateral treaty then this structure may not be the most attractive option. There are additional alternative ownership structures that can be utilized, including (i) ownership through a U.S. corporation owned by a foreign corporation; or (ii) ownership through a partnership (U.S. or foreign) or a limited liability company taxed as a partnership; or (iii) ownership though a trust (U.S. or foreign trust, grantor or non-grantor trust). Again, all of these structures are designed to achieve as many of the above-enumerated planning goals as possible, and the optimal structure always depends on the facts and circumstances of the particular case; that is, there is no ‘one size fits all’ structure. At the end of the day, foreign persons intent on acquiring U.S. real estate should consult with tax advisors with knowledge of the legion of complex tax rules that confront the foreign owner of U.S. real estate. The failure to do so could easily result in dramatically higher than anticipated tax rates, an inadvertent but costly failure to comply with U.S. tax reporting and compliance rules, and exposure to U.S. transfer taxes as a result of the untimely death of a foreign owner or a gift of the U.S. real estate without proper planning. If you would like to discuss any of these issues, please feel free to contact our firm and we will be happy to evaluate your options. The number of foreign persons investing in U.S. real estate has continued to rise in recent years. The National Association of Realtors reports that foreign buyers purchased more than 104 billion dollars in U.S. real property from March 2014 to April 2015. Florida was named the state most favored by foreign buyers, garnering twenty-one percent (21%) of the total purchases made by foreign buyers. This trend spotlights the importance of the Foreign Investment in Real Property Tax Act of 1980, I.R.C. § 1445, more commonly known as FIRPTA. Also, recent changes to FIRPTA made in December, 2015, resulting from the Protecting Americans from Tax Hikes Act, mean the amount of taxes to be withheld on certain transfers of a U.S. real property interest by foreign nationals has increased. FIRPTA was enacted, in part, to ensure that foreign sellers pay taxes on the sale of a U.S. real property interest. Under FIRPTA, all sellers of a U.S. real property interest (considered to be transferors) are presumed to be foreign and the burden of proving otherwise is placed squarely on the shoulders of the property buyer. Buyers of a U.S. real property interest, considered to be transferees and withholding agents by the Internal Revenue Services (IRS) for purposes of FIRPTA, must withhold and remit taxes to the IRS in the amount equal to fifteen percent (15%) of the amount realized from the sale of real property (usually the contract price) in order to be protected from any tax liability which the seller fails to satisfy to the IRS. As the withholding agent, the buyer/transferee is required to remit the tax withheld from the amount realized on the sale to the IRS within twenty (20) days of the property transfer utilizing the appropriate IRS forms which require that the seller/transferor has a U.S. tax identification number. The foreign transferor can have the amount to be withheld reduced if it applies, no later than the day of closing, for a withholding certificate and demonstrates the existence of certain conditions meriting a reduction in the amount of taxes due on the property transfer. The buyer/transferee is relieved of the withholding requirement if the seller/transferor gives the buyer a certification, signed under penalties of perjury, that the seller/transferor is not a foreign person. The certification is required to contain the seller/transferor’s name and address, and tax identification number. The buyer can only rely on this certification if the buyer has not been provided with a notice or does not otherwise have actual knowledge that the seller/transferor is a foreign person. In a buy-sell transaction of a residence for $300,000.00 or less involving a foreign seller/transferor, a buyer is not required to withhold and remit taxes to the IRS if the buyer is an individual and is willing to sign an affidavit stating that the buyer or a member of the buyer’s family will be occupying the purchased residence for at least fifty percent (50%) of the time that the purchased residence is occupied during the first two (2) twelve (12) month periods following the transfer. When the amount realized on the transaction exceeds $300,000.00 but is less than $1,000,000.00, and the buyer, who is an individual, is willing to sign an affidavit stating that the buyer or a member of the buyer’s family will be occupying the purchased residence for at least fifty percent (50%) of the time that the purchased residence will be occupied during the first two (2) twelve (12) month periods following the transfer, then ten percent (10%) of the amount realized must be withheld. These exceptions to the withholding requirement can benefit the foreign seller because funds will not be withheld from the sales proceeds in an amount up to fifteen percent (15%) of the amount realized; however, they can result in exposing the buyer to liability for taxes, penalties, and interest owed by the foreign seller to the IRS resulting from the sale of the residence. The withholding rate remains at fifteen percent (15%) when the amount realized is greater than $1,000,000.00 regardless of the use of the property. Likewise, the fifteen percent (15%) withholding rate applies when the buyer is not an individual or when the property will not be utilized by an individual buyer as a residence. FIRPTA does not apply only to transactions involving residential property; rather, it includes any real property located in the U.S. or the U.S. Virgin Islands, personal property associated with the use of real property, and interests in a mine, well, growing crops, timber or other natural deposits, as well as rents paid to a foreign person (note: withholding rules governing rental payments made to a foreign person are beyond the scope of this article). A foreign person includes non-resident alien individuals, as well as partnerships, trusts, estates, and (certain) corporations and limited liability companies domiciled outside of the United States. And, whether involving individuals or entities, FIRPTA applies to real property transfers including, but not limited to gifts, sales, exchanges, redemptions and transfers. 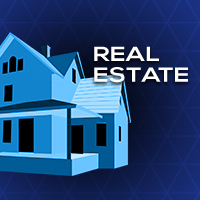 Since seller/transferors are presumed foreign, and it is the buyer/transferee’s burden in a transaction involving the transfer of a U.S. real property interest to prove otherwise, or to be saddled with potential tax liabilities related to the disposition of U.S. real property by a foreign transferor, buyers or transferees (other than certain U.S. governmental entities) are advised to seek legal counsel if the seller/transferor is unable to produce the certification described above attesting that it is not a foreign person. There is an inherent risk of liability that goes along with property ownership. You as a property owner could potentially be subject to tort claims stemming from activities that occur on the land. If the property were held in your individual name or in the name of your Revocable Trust at the time a tort claim was made and the claim resulted in a judgment against you or your trust, your personal assets, or the assets of your Revocable Trust, could be attached to satisfy the judgment. However, if the property is held in a separate LLC, only the property held in the LLC can be used to satisfy the judgment. 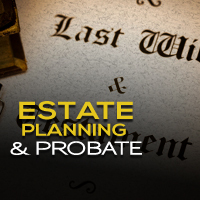 This restructuring is advantageous to you because it would give you maximum protection for your personal assets. This structure maximizes the asset protection for Corporations as well, because any judgment against one piece of real estate could only be satisfied by that piece of real estate and not the assets of corporation or the other pieces of real estate since they are in separate LLC’s. Having each piece of real property in a separate LLC has advantages from a business standpoint in that it makes it simpler to bring in a developer as an owner of the real estate. Bringing in a developer as an owner when the real estate is held by an S corporation is difficult because an S corporation can only be owned by certain individuals and trusts, whereas most developers will be some form of business entity. However, any business entity can be a member in an LLC, and by having each piece of real estate in a separate LLC, you can bring in a developer as a member for just the one piece of property. Also, if you do bring a developer in on a joint venture, by the real estate being in an LLC, you have the flexibility to provide different allocations of distributions and taxes between you and the joint venture partner. This flexibility would not be available if the real estate was held in an S Corporation. Finally, when you decide to sell the real property you can sell the entity rather than selling the actual real property. Each piece of real property in a separate LLC has advantages from an Estate Planning standpoint in that it makes it simple to transfer ownership. The ownership of real estate held by an LLC is represented proportionately by a member’s shares of an LLC. Rather than filing a new deed, members can transfer ownership of the property to their children by simply issuing them membership interest in the LLC. This makes gifting away interest in the real estate very simple to do. Also, it is easier to gift interest in an LLC than it is to gift away stock in an S Corporation, because an LLC has no restrictions on who can be an interest holder whereas there are limits who can be a holder of stock in an S Corporation. Therefore, each gift of stock out of the S Corporation would have to be analyzed to ensure it was going to an eligible S Corporation shareholder. For Real Property currently held in your individual name or in your Revocable Trust, we suggest creating a single member limited liability company (LLC) for each parcel of real estate you currently hold. A LLC holding company should be created to be the single member of each of the LLC’s holding the real estate. You or your trust would be the sole member of the LLC holding company. You would still maintain control of each LLC holding the real estate because the holding company is the sole member of each LLC and you would be the manager of the holding company. For Real Property currently being held in the name of a Corporation, we recommend creating a single member LLC for each piece of real estate and then having the Corporation contribute the real estate to the individual LLC in exchange for ownership interest in the LLC. Any real estate that you acquire in the future should be held in a separate LLC with the LLC holding company as its sole member. Because of the business and estate planning advantages a LLC has over a S corporation, it is best to never acquire any real estate in a S corporation.